Opiate addiction is a central nervous system disorder that is caused by the use of opiate based drugs like, Oxycontin, Morphine, Oxycodone, or opium. Opiate addiction is a deadly disease and it requires long term treatment to get cured. Many opiate users become physically dependent on the drug since its first or second usage but, many may just use it for recreational purposes, just to feel better without being addicted to it. If a person uses opiates for a prolonged period of time then the nerves in the brain becomes damaged and stops the production of endogenous opiates: natural painkillers. This condition leads to an inability for the body to control pain as there is no endorphins that will help cure the pain in the body. This degeneration of the nerve cells that would otherwise help reduce pain leads to a physical dependence on opiates as an external source of pain killer. This phenomenon leads to opiate addiction and is very difficult to get rid of the same. One of the main reason why opiates are addicting is because the way they interact with the natural functioning of the brain. As the person starts taking more and more opiate drugs, the brain naturally starts adapting to the influx of opiates in the body and begins to get dependent. This condition is known as opiate dependence; the same is dangerous and may lead to moderate to severe symptoms. Long term abuse of opiate that leads to physical dependence may be further barred by what is known as opiate withdrawal symptoms. At this stage, the person has physical illness on stopping the use of opiate drugs and the same may be potentially deadly to cope with for the patient. The condition deteriorates especially when the person lacks proper medical help. The opiate withdrawal symptoms are varied and differ from person to person. In some cases, the opiate withdrawal symptom associated with opiate detox sets in just few hours after the last dose is taken. In some cases, it may take few days for the withdrawal symptom to completely set in. These symptoms may cause hindrance in efforts of quitting opiate use and can also cause problems for those who taper the drugs off very soon. 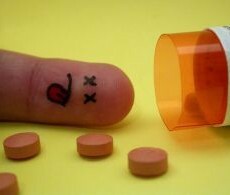 Since, opiates are often used for medical treatments, many falls dependent to it in spite of their effort to stay clean. Though opiates are considered to be precious owing to their ability to relieve pain, tolerance tends to build quite quickly towards it and leads to a wide range of withdrawal symptoms once the person stops using this drug. If a person is struggling from opiate addiction and desires to get rid of it, it’s never too late to get help. There are many rehab centers that help the opiate addict to lead a normal addiction free life. A person may opt for short outpatient program or may go in for long term detox programs as available in rehab centers. The greatest advantage of detox method is that most of these places have doctors who can prescribe you detox assistance medication like Suboxone or Methadone that is helpful in curing withdrawal symptoms. These facilities have been designed in a manner to help the person get through withdrawal stage and in turn get a long term sobriety program.